The United States Patent and Trademark Office (USPTO) is holding two roundtables designed to facilitate public discussion of the USPTO’s current guidance on subject matter eligibility and topics related to current subject matter eligibility jurisprudence. Roundtable 1 will be held at the USPTO in Alexandria, Virginia, on November 14, and focus on ways of improving the USPTO’s subject-matter eligibility guidance for patent examiners and how that guidance is being applied by examiners. USPTO director Michelle Lee will provide opening remarks, and be followed by select industry representatives from large and small companies, bar associations, trade associations; and select private practice IP practitioners, Marshall, Gerstein & Borun LLP partner David A. Gass will speak at Roundtable 1, addressing patent-eligibility of inventions involving biomarker diagnostics. Roundtable 2 will be held at Stanford University on December 5, 2016. 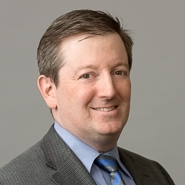 David A. Gass is a partner and registered patent attorney at Marshall Gerstein. He has served biotechnology companies, universities, and research institutions for more than 22 years, helping develop and implement IP strategies for protecting and commercializing life-improving biotechnology inventions involving diagnostics and precision medicine, therapeutics and gene therapy, plant biotechnology, and many other technologies. He also counsels clients about IP licensing, maximizing patent term and patent life-cycle for products, and freedom-to-operate issues relative to the IP rights of others. His experience before the USPTO includes inter partes proceedings and appeals.